- Intelligent Antivirus with Dynagen Technology: the new version of this software is powered by DynaGen technology, which streams hundreds of small updates to the virus database of computer in real-time to detect new malwares much faster. The algorithm that analyzes the suspicious files powered by artificial intelligence will help the antivirus engine to take perfect decisions. - SafeZone: Its unique SafeZone protects your financial information and online transactions from hackers. You can set your banking and favorite online shopping sites to launch the SafeZone automatically, thereby ensuring a foolproof security to all sensitive transactions. In addition, the SecureLine VPN offers maximum security to the user by encrypting and anonymizing the web activity. 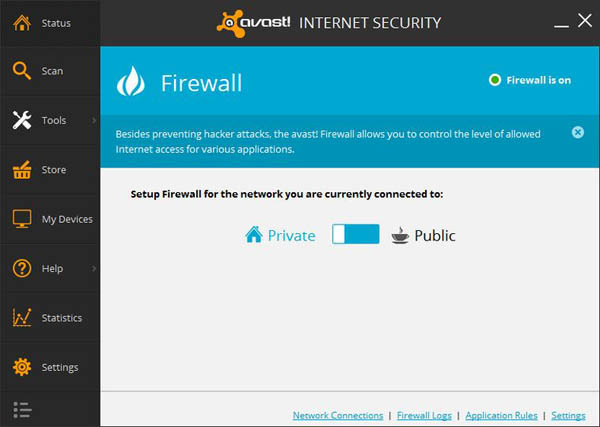 - Salient firewall: firewall in the Avast! 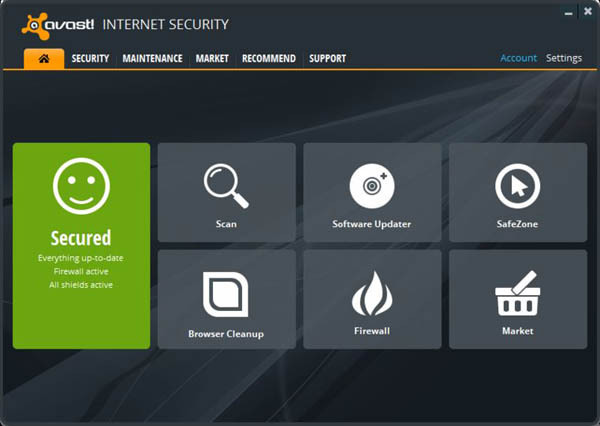 Internet security 2014 is completely rebuilt for enhanced performance and improved security. It can make faster decisions, work better with new versions of Windows and seamlessly support IPv6. 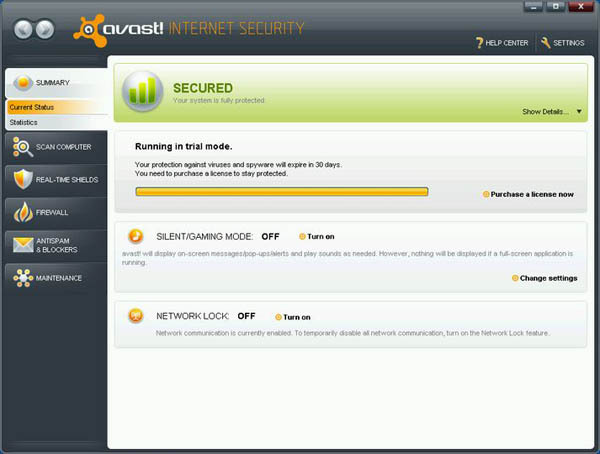 - FileRep: Avast Internet Security 2014 enables you to run suspicious downloaded files safely. You can run the infected files in the sandbox and the FileRep technology will execute a file reputation scanning to determine whether the files are safe to run or not. - DeepScreen Technology: This feature will enhance the programs ability to make better decisions about unknown files, and the extended cloud scanning facility also assist in the detection of malicious programs. In the event of any detection, the improved cleaning facility will ensure reliable deletion of the threat. - Faster Scanning: With Avast Internet Security 2014, the system scanning is much faster apparently, making it easy for you to complete a full system scan in comparatively less time. Additional Features: This internet security suite comes with additional security features, which makes it possible to scan removable media such as flash drives, optical discs, and other external drives automatically. This eliminates any chance for your system to be infected from other people�s drives. 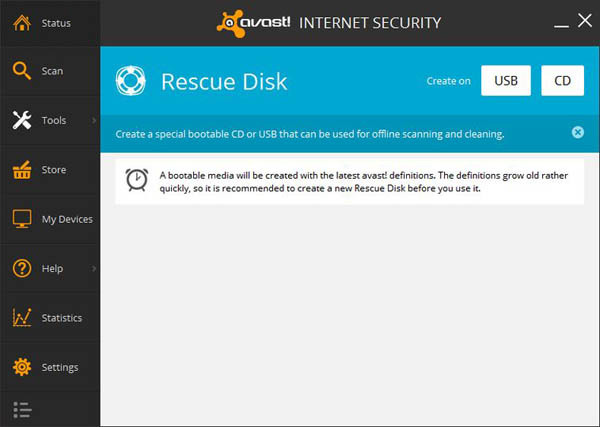 Avast features rescue and safe reboot feature, password manager and browser cleanup tool. The browser cleanup tool enables us to detect and remove those tools that block us from removing unwanted plug-in and annoying toolbars. Avast is backed by avast! CommunityIQ, which is considered as the fastest signature based malware data source in the world. The millions of users in this community anonymously share any new malware they encounter so that Avast can update their virus database quickly. Moreover, it is very easy to install in your system and have an intuitive user interface. 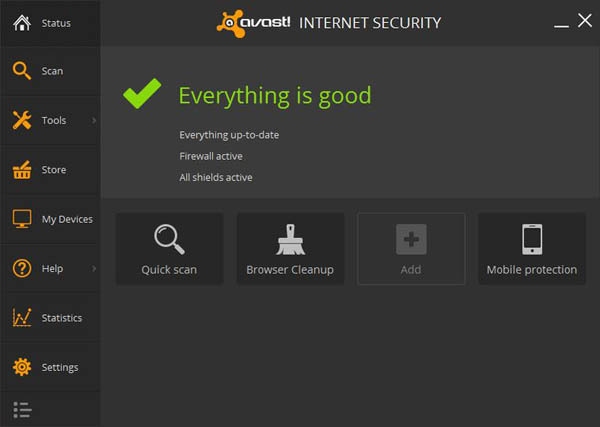 Pros: Avast Internet Security 2014 is one of the best security suites available today and it protects you from the emerging threats in the cyberspace. It offers great performance in blocking malicious URLs and comes with many bonus features. It has minimal impact on system performance and you can use the internet to its full potential. Cons: It does not have any parental control features and it lacks a virtual keyboard facility. Kaspersky Internet Security 2014 is yet another internet security suit that delivers ultimate protection from all known internet threats. It can ensure that you are always safe when you use the web to surf, shop, bank, social network and many more. It offers user unique features like Safe Money, Automatic Exploit Prevention, ZETA shield etc., which are very effective in preventing attacks through the vulnerabilities in the operating system and applications. In the detection and blocking of malwares, both these software shows equal performance, however Kaspersky Internet Security 2014 offers more facilities such as secure keyboard and advanced parental control utilities. 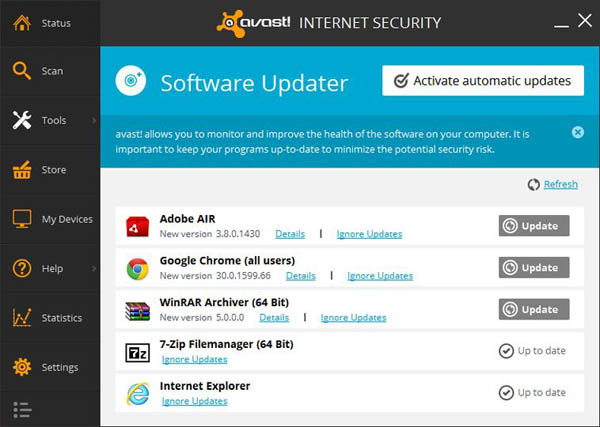 Avast Internet Security 2014 is one of the best internet security suite available today that has all the tools and utilities to create a totally protected environment for your transactions. It is very easy to install, and use. Despite the nice interface, it offers many premium features that you would not find in other security suits, making it a true value for your investment.